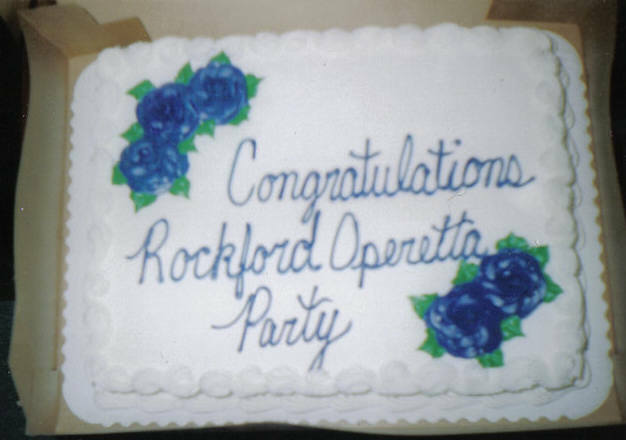 Welcome to the home page of the Rockford Operetta Party, based in Rockford, Illinois, U.S.A. The company debuted in 2006. If you've never done opera or never attended one, you are missing out on a unique experience! Ours is a community theatre, and it is a labor of love. Countless hours are spent on preparing our programmes: creating scenery and costumes, advertising, rehearsing, and making the best of our players - all of these things require time, effort, money and talent. Anyone who wishes to participate is given a chance to do so. Our shows have always been about giving beginners a start, as well as giving seasoned performers a place to explore less-familiar avenues of entertainment. We have occasional guest performers, but the majority of our group is made up local non-union performers. There is more to a show than just its performers. We also need useful aid in creating scenery and costumes. If you have the ability to put a nail in a board, or stitch buttons on a coat, you can be involved with our show! These detailed jobs are important to the presentation of the final product, and we never have too many able hands to help out with these things. And helping us will look great on your resume. We always give good references to good volunteers. 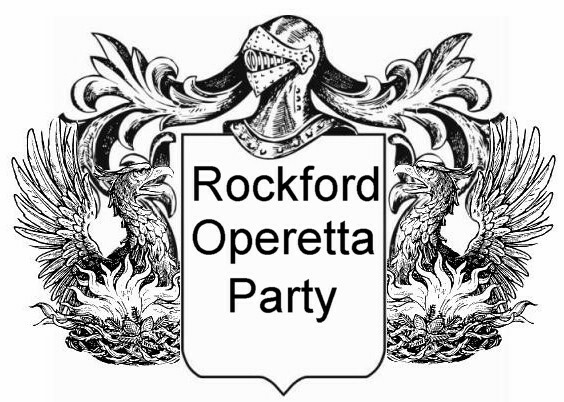 Our Mission Statement: The goal of the Rockford Operetta Party is to provide residents of the Rockford area with recurring opportunities to attend or participate in English light operas of genuine artistic merit, and provide a unique entertainment experience that is unlike anything else in Rockford. 2018: Our 11th season of opera is finished. Please check back in the autumn for our 2018-19 schedule. We will present a new opera, "Jason and the Sirens", in May of 2019. Now seeking orchestra players and singers for this production!! To get around on our site, just click on the season that interests you. We are also on Facebook. We hope that you enjoyed visiting our site and will join us for our next programme!